Members of the BNC adult and youth choirs at the Gap of Dunloe, Ireland, after participating in Irish Choral Festival, July 2016. Hello and thanks for stopping and visiting our website! The Buffalo Niagara Choirs, Inc was created in 2012 through the merger of the newly formed Buffalo Master Chorale and the well established Buffalo Niagara Youth Chorus. With our unified choral program, we offer singers of the Buffalo-Niagara region a lifelong choral experience unlike any other in the community or region and our audiences a concert ‘event’ unlike anything they have experienced. You heard right, we are actually a family of choirs: the Buffalo Master Chorale for adults and the Buffalo Niagara Youth Chorus for youth under 18. The Youth Chorus includes three choirs: the Concert Choir, the Chamber Choir; as well as a Pop, Broadway & Jazz Ensemble. As a family of choirs, we are dedicated to excellence in performing choral music and to the importance of singing all lifelong. We are committed to collaborating with diverse artists and cultural organizations and to celebrating the richness of musical traditions from our own neighborhood and around the globe. We believe in the power of the human voice and in making the transformative potential of song available to everyone. Longevity and Reach: We are Western New York’s only choral ensemble with members ages 8 to 78. The Youth Chorus, originally founded in 1988, serves children ages 8 to 18. Currently there are 55 young singers drawn from 12 school districts, including public, religious and charter schools, and schools that are spread throughout the city, suburbs and rural communities. The 50 adult singers of the Master Chorale represent 25 zip codes in the area and come from all walks of life. We are bankers and financial advisors, educators and college students, organists and choir masters, homemakers and retirees, building managers, pharmacists, librarians and artists, among others. Performance Diversity: The BNC’s repertoire is wide ranging and includes choral symphonic literature and chamber music, opera, modern-day works by living composers, gospel, Broadway and jazz, popular music and folk tunes, ethnic melodies and dances, plus specially commissioned pieces. Local Partners: The BNC family collaborates annually with other artistic groups in the area. In 2015-16, our Irish concert, Affirmation of Hope, involved partnerships with the McCarthy School of Irish Dance and vocal/instrumental duo Kindred. In 2014-2015, our collaborative artists included an inner city adult choir, the Buffalo State College student ensembles, and a variety of adult community and church choirs. Other guest artists have included the Buffalo Philharmonic Orchestra, the Clarence Symphony, Neglia Ballet, and Opera Sacra. In fact, since incorporating under the BNC umbrella, we’ve worked with 15 unique performance partners! Global Partners: The Buffalo Niagara Choirs also collaborates internationally! 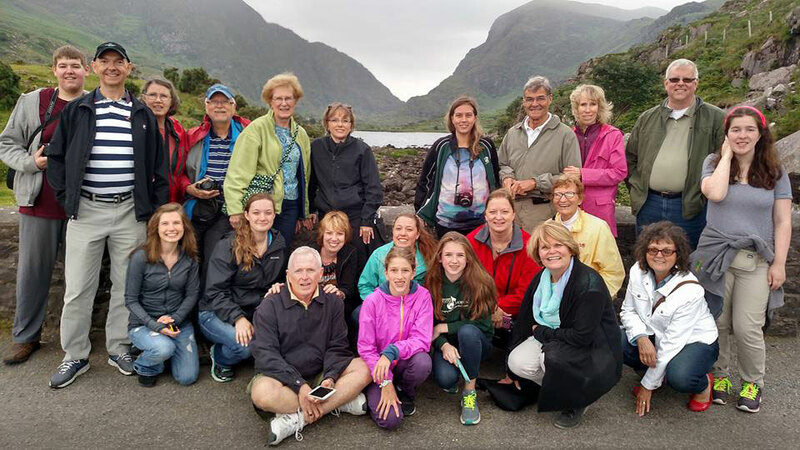 In July 2016, members of the Buffalo Niagara Choirs traveled to Ireland in a special collaboration, Celtics Voices: Anniversary of Hope with BNC’s own conductor, Doreen Rao, performing in St Patrick’s Cathedral, Dublin. In October 2016, we are hosting our friends, the Amadeus Choir from Toronto, on our opening gala concert. Did you also know we have traveled to Hawaii, Western Europe, and Great Britain? Traveling all of Western New York: We like traveling to our audiences, and perform in a variety of venues and locations, including churches and concert halls in downtown Buffalo, the city’s East and West sides, and north and south ring suburbs. Musical Education: Education is critical to our mission, in terms of mentoring our own young singers, educating other aspiring artists, and inspiring our audiences to participate in our performances. In our concerts, we have taught audiences to sing Irish melodies and Austrian hymns, and to dance in the aisles with us to the unbeatable rhythms of Latin America. 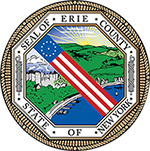 Support: Various public and private funding sources have invested in the BNC, including Erie County, the State of New York, the Margaret L. Wendt Foundation, Cullen Foundation and Balbach Family Foundation, plus hundreds of generous people in our community. Our 2016 – 2017 season begins with our gala on October 30, 2016. You can purchase your tickets online and follow us on Facebook for updates and event photos.